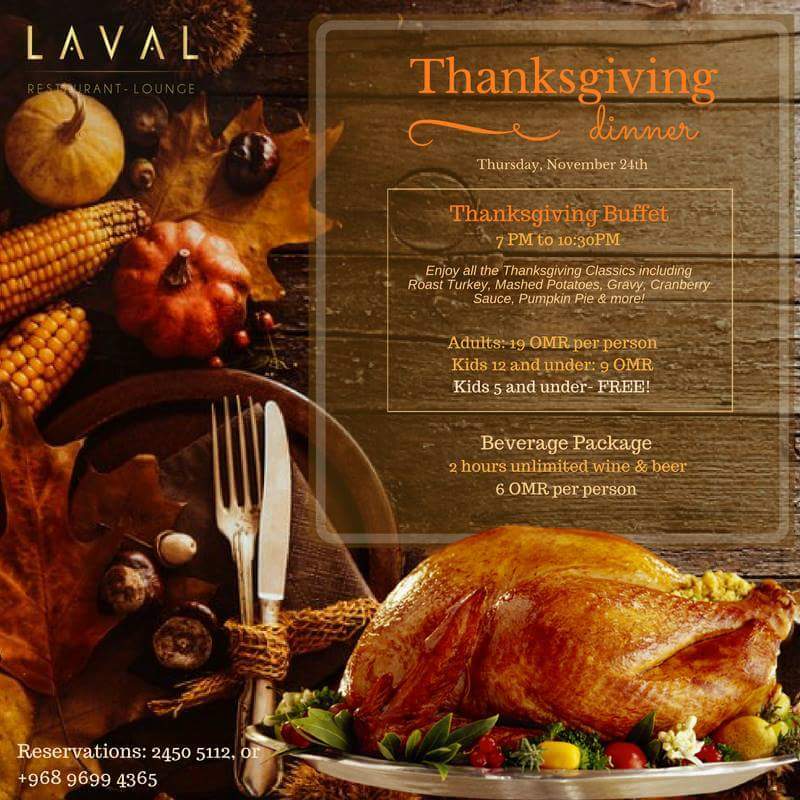 Coming up next Thursday (24th November) LAVAL are celebrating American Thanksgiving with a full turkey dinner with all the trimmings for RO 19 per person (kids aged 6-12 are RO 9, 5 and under are free). That even includes pumpkin pie - yum yum! It runs between 7-10:30pm. 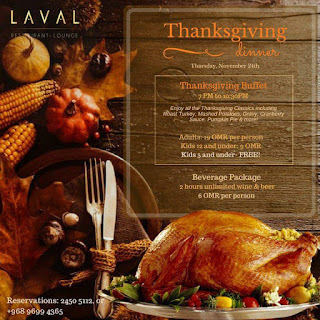 So if you are feeling like you need to give thanks, or perhaps get some Christmas turkey training in, you might want to head to LAVAL next Thursday night. Also, for RO 6 you can add unlimited adult beverages to your package too... so RO 25 for the authentic (hic) experience. If you're keen, call them on +968 2450 5112 or +968 9699 4365 to reserve a table. If you didn't know where LAVAL is, its the swanky restaurant/bar situated at the Ghala Wentworth Golf Club just off the Muscat Expressway.